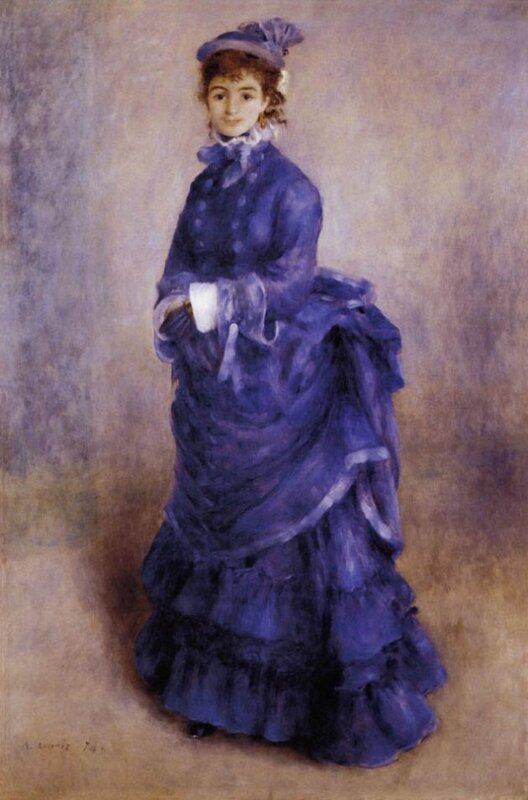 PIERRE AUGUSTE RENOIR (1841-1919) was an artist who thought art should be pretty. He spent his life creating some of the happiest paintings ever made. 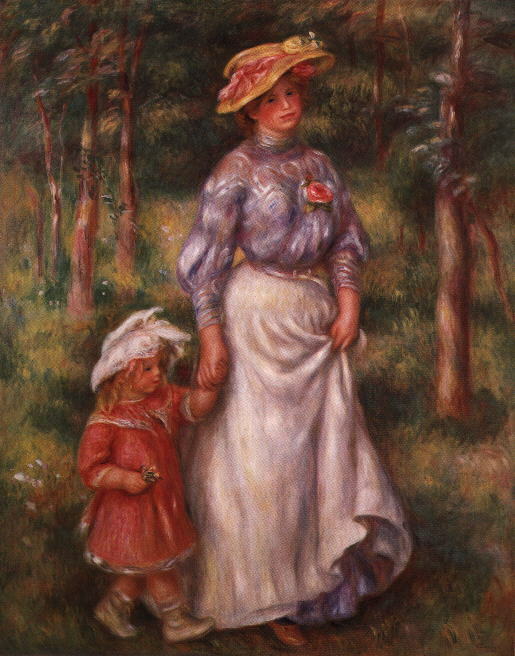 Although Renoir struggled early in his career, his rain bow-tinted portraits and landscapes eventually brought him wealth and fame. 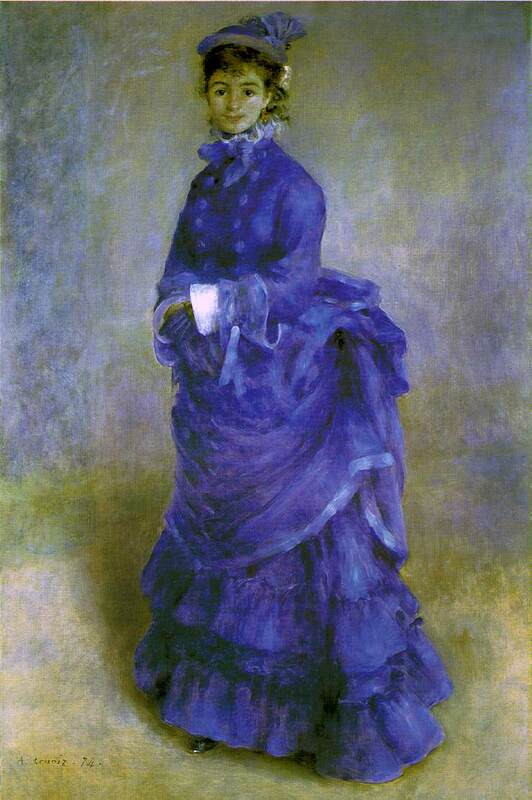 Together with a group of other French artists in the 1870s, Renoir helped develop the style called Impressionism. The Impressionist artists did not try to make the things they painted look solid. Instead, they painted the effects of light. 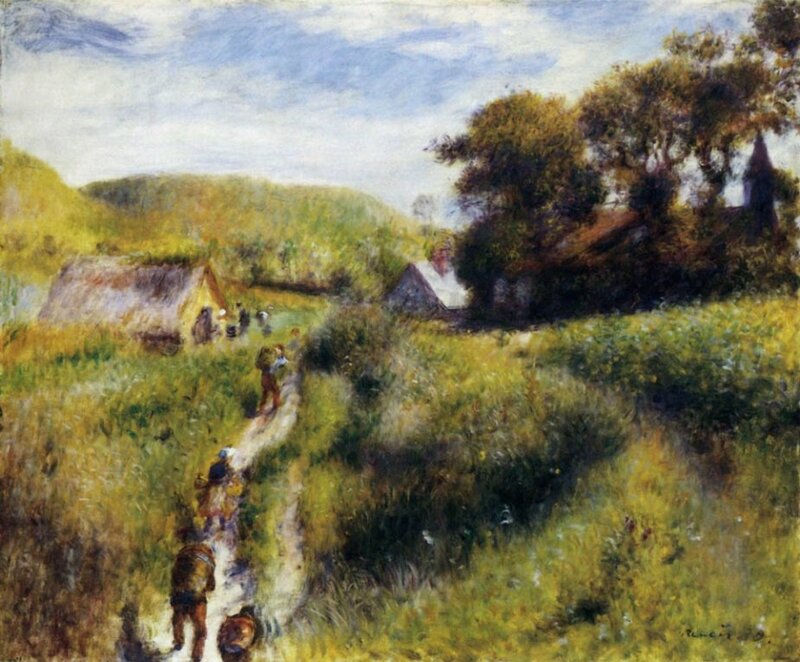 They often painted outdoors because they wanted to show the light of the sun exactly as our eyes see it. When you look at their paintings up close, you see only brush strokes and splashes of color. 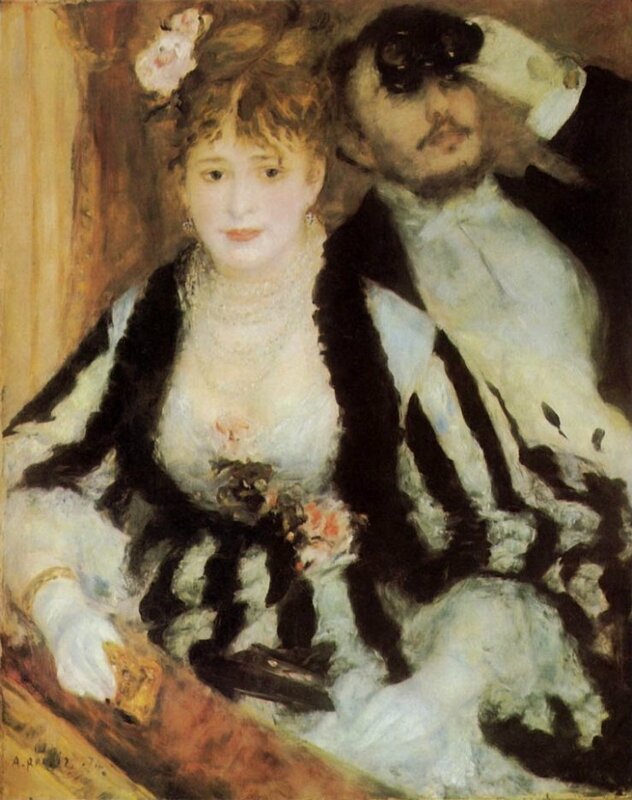 The story of Renoir is the stuff of legend. 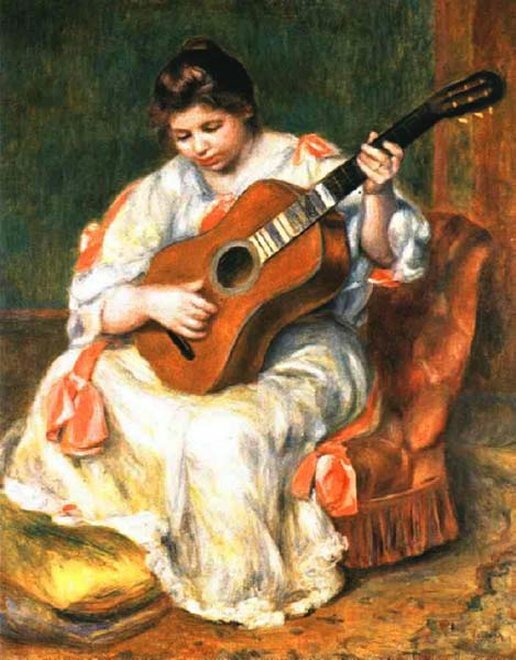 He was born in Limoges, France, in 1841 and, at the age of 4, moved with his family to Paris, where he was brought up in an old house attached to the Louvre. 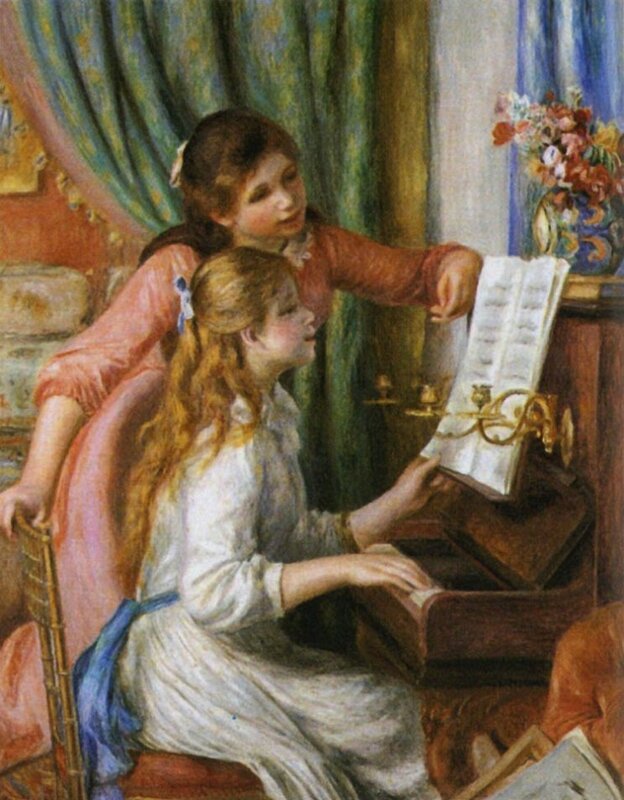 He studied in a local school where the singing teacher was none other than the great composer Gounod, who reportedly wanted the youngster to pursue a career in music. 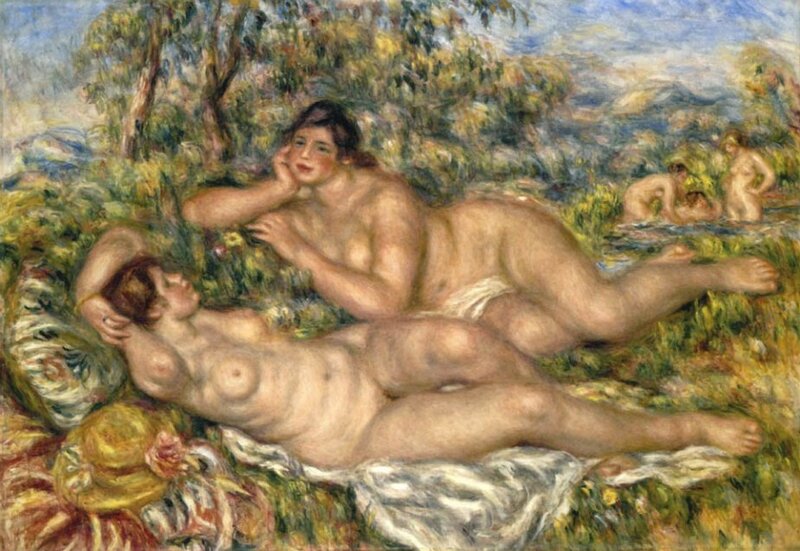 But Renoir was, from the first, a visual artist. His parents--noting his passion for drawing--apprenticed him to a porcelain decorator at the age of 13. The young man was allowed two hours every day to wander the corridors of the Louvre and make sketches. 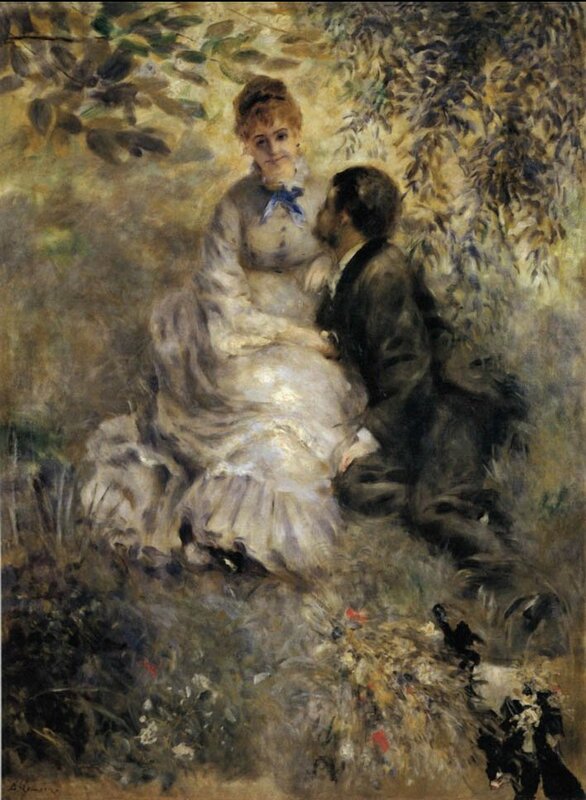 It was there he obtained his passion for painting and first came across his heroes, Boucher, Watteau, and Fragonard, all rococo painters whose charisma, poetry, and appreciation of feminine charms had an obvious influence on the young Renoir's vision. 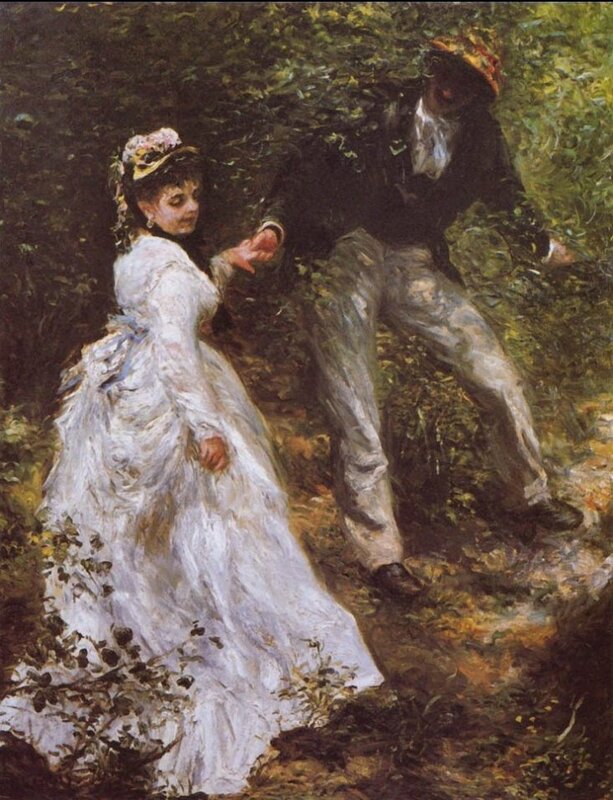 In 1874 Renoir took part in the first exhibition of the Society of Painters, Sculptors and Gravers--the group instantly dubbed 'Impressionists' by an outraged newspaper article. 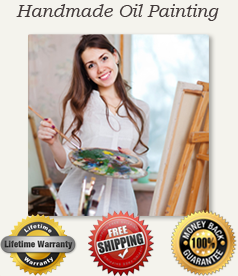 Despite the notoriety, paintings did not sell, or if they did, their prices were only enough to pay a few bills. 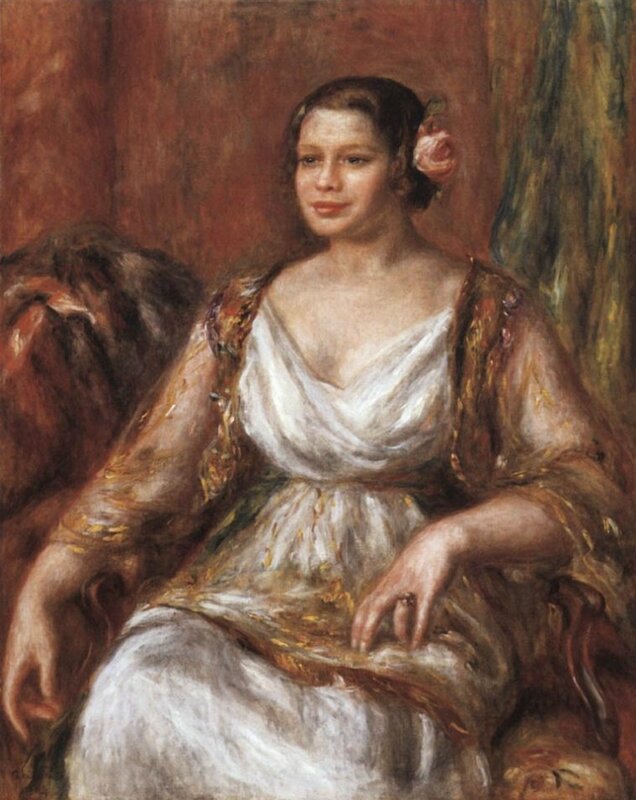 Renoir was obliged to walk the streets with his masterpiece La Loge, visiting dealer after dealer until he found someone willing to give him enough money to cover his month's rent. 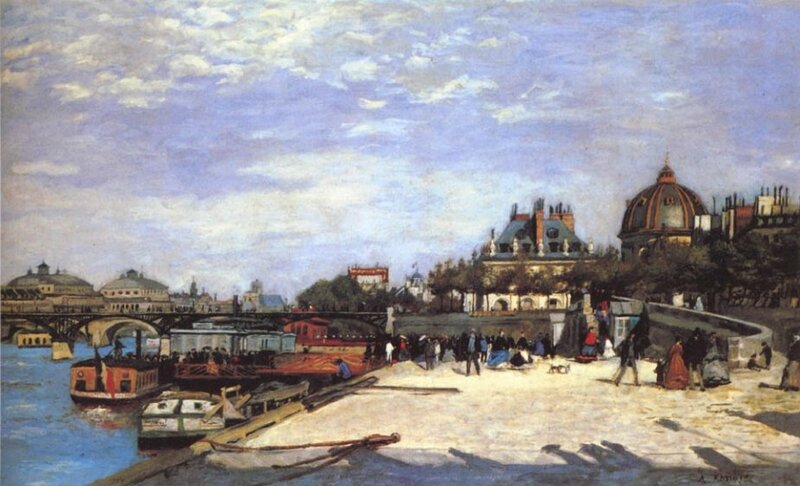 A second Impressionist exhibition in 1877 was further savaged by the press. 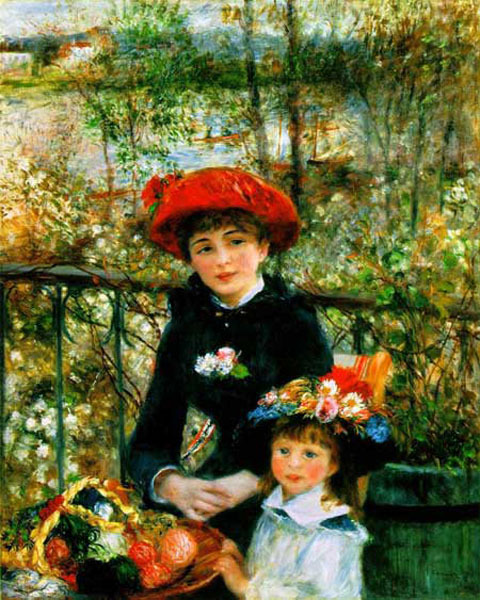 During these years Renoir was obliged to sell many of his greatest paintings for little more than a song. But as the economy improved, he at last began to make better sales. 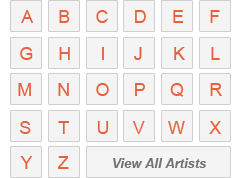 Most lucrative were the many portrait commissions that began to come his way. Paris was entering a new age of frivolity and wealth and the charming touch of the artist was in keeping with this new spirit. The public was beginning to come around to the brighter palette and more open handling of Impressionist art. 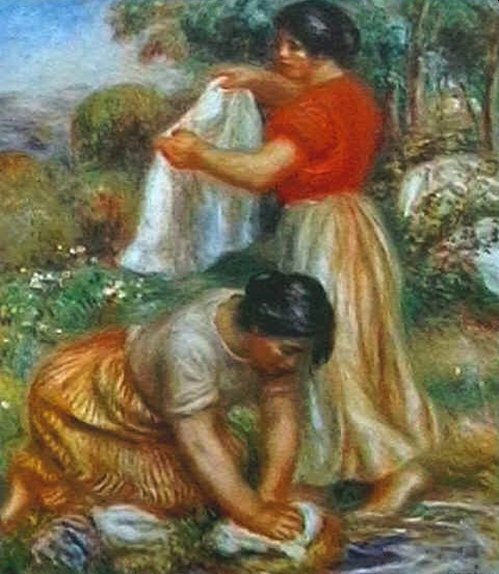 Renoir married and made trips abroad to Algeria, Italy, and Guernsey, painting everything and broadening his knowledge of art. 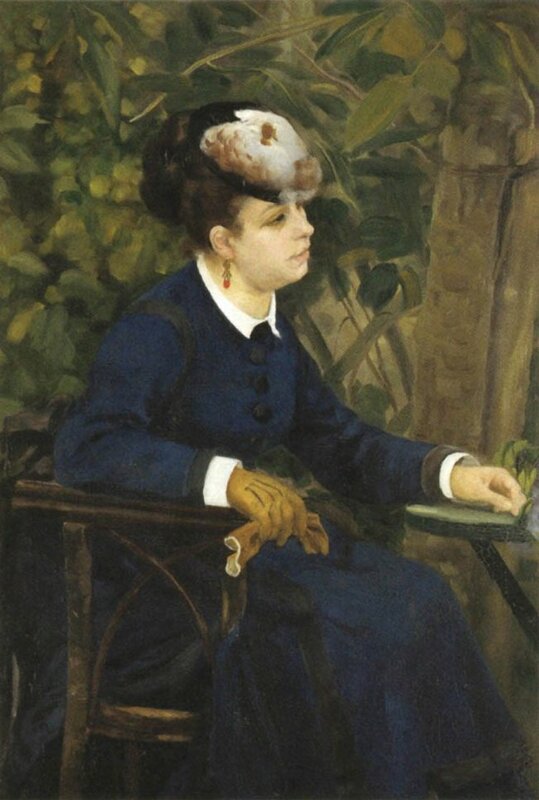 By 1883, however, he began to feel that Impressionism wasn't enough for him. 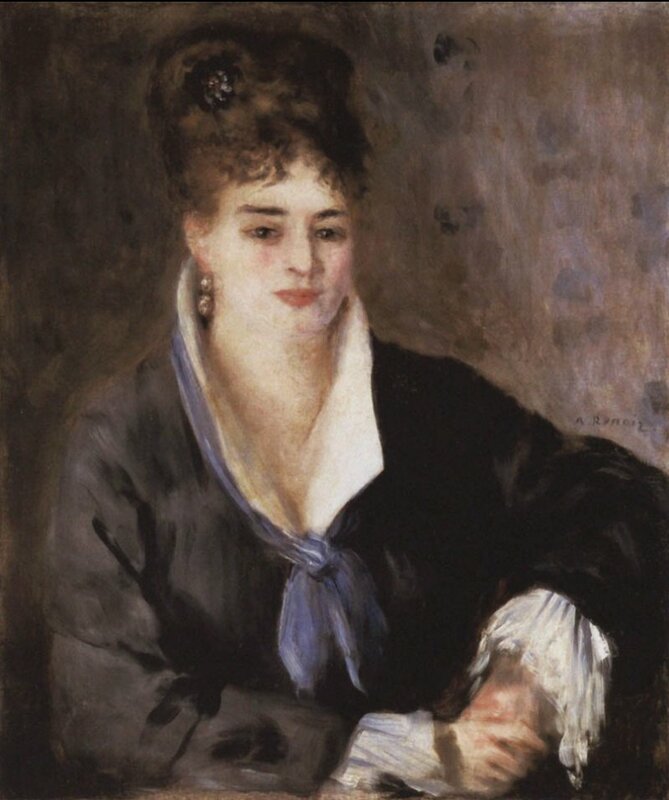 Vollard himself reports the painter's thoughts on the matter in his wonderful memoir Renoir. An Intimate Record (Dover Publications, Mineola, New York). 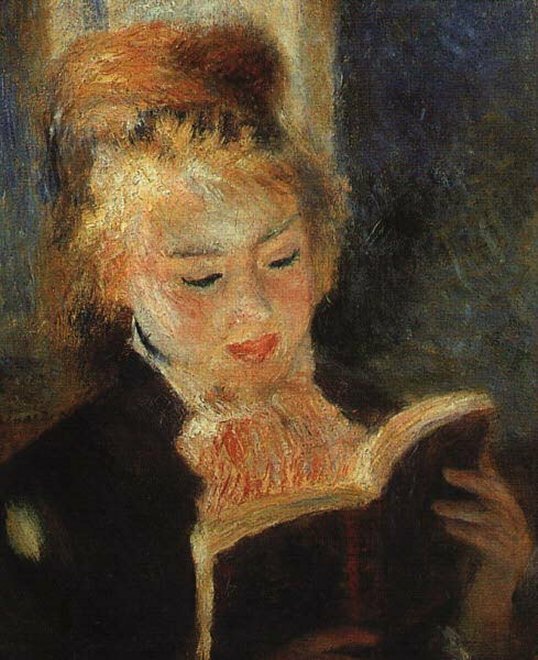 "I had wrung Impressionism dry, and I finally came to the conclusion that I knew neither how to paint nor draw," Renoir reportedly said. 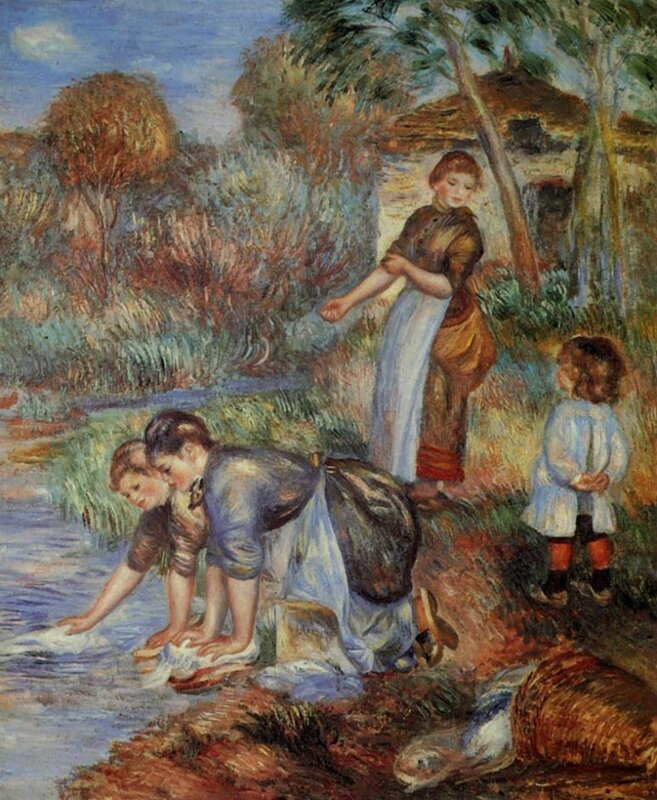 "In a word, Impressionism was a blind alley as far as I was concerned." 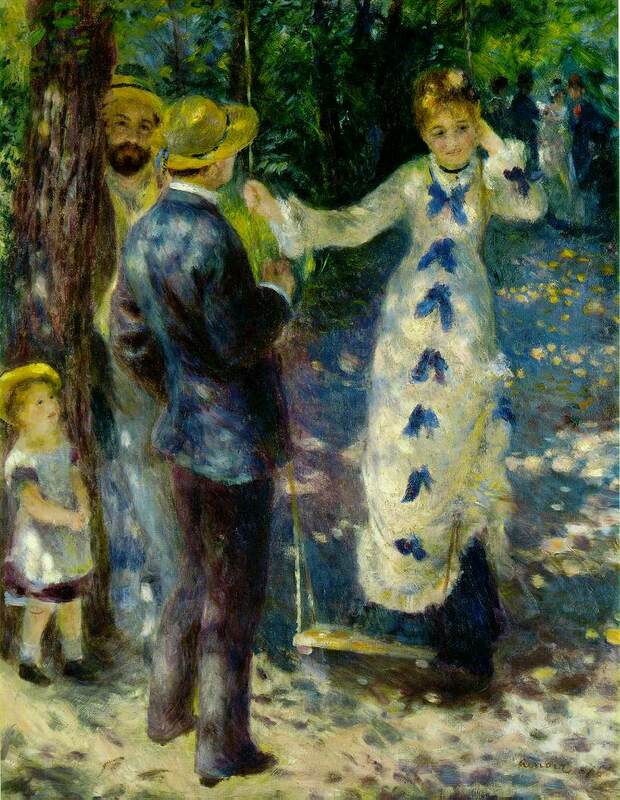 Renoir's paintings of this period still cause controversy today and enjoy the lively attention of both passionate fans and passionate detractors. At their best they are charming, sensitive, and often sensual, imbued with a lightness of spirit and an air of pleasure that is instantly seductive.